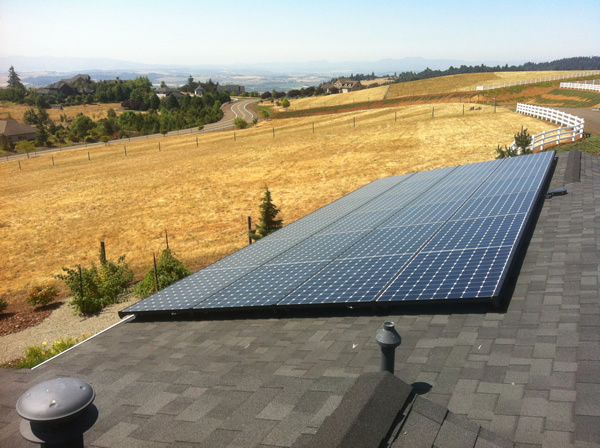 Since 2006, Solar Ki, LLC has been designing and installing high quality solar electric systems throughout the Willamette Valley and Central Oregon Coast. The founder, and owner for the past 10+ years (Laura Uhler) had 20 years experience as engineer and engineering manager in the high tech industry, when she delved into renewable energy. Believing in a focus on quality and customer satisfaction, she and her staff developed a mission to provide quality systems designed for reliability and long-term efficiency that would delight customers. Solar Ki, LLC partnered with local experienced professionals to achieve quality roof mounting, sealing, construction and electrical work. Metzger Green Build and M&W Electric were involved in almost all installations for ten years. Leveraging from high tech industry methods, quality processes were developed, process improvement implemented, and new solar technologies were incorporated. Solar Ki, LLC makes it easy for customers to get a high quality, low maintenance system that meets their needs.
. Solar Ki, LLC has provided solutions for homeowners, businesses, non-profits, and municipalities. Leveraging both state grants and well as the USDA Rural Energy for America (REAP) grants, we provide solutions for small farmers and business owners that would otherwise be unable to obtain renewable energy systems. In 2017, Solar Ki, LLC expanded ownership and staff in order to substantially grow to serve more customers. We brought on experienced professionals and dedicated in-house installation staffing. The company is now owned & operated out of Eugene Oregon. The staff (including the original founder) reside within our beautiful central Willamette Valley. Mission: Positively impact the natural environment by providing high quality solar electric systems that delight our customers. Solar Ki, LLC was born from the desire to use my skills to create something that was meaningful to me. The sacred beauty of our natural world has always provided me inspiration and comfort. The field of renewable energy seemed like a good fit for an electrical engineer who had worked in an innovative business field as the expanded use of renewable energy mitigates the harmful environmental effects of fossil fuels. “Ki” is the energy that flows through all things; thus Solar Ki, LLC is the energy from the sun. … The lotus is rooted in the muddy earth; each day, with the sun’s light, it’s flower re-opens in beauty. The logo shows the golden bars of the sun on the earth, bringing out the beauty of the lotus flower.